The echo chamber at Abbey Road. Yesterday was a good day. I did a mix on the second track "we came from the ocean" on Friday and felt very pleased with it. Than I came home and listened and realized it needed a lot of work. It wasnt a problem with the track itself but I listened to the first track I had mixed and when I listened to "we came from the ocean" I realized I needed to push everything a bit further. I really like working that way. Trying to build every song differently so that when you hear the album its entirety it wont become boring or flat. Its very easy to resort to standard solutions...Doubletracked Mellotron 3 violins with the Chamberlin Cello playing bass sounds amazing. Its a sure thing. But if you do it on every track...it will become flat very quickly. So on this new track I wanted to create different atmosphere in the choruses and used the Mk 1 mandolins as the driving chords with doubletracked Orchestron Celloes as the bass. To get a stronger percussive element I added M400 Timpani hits. The choruses fell into place verk quickly. A lot of atmosphere but the problem obviously meant that the verses needed some attention. As all of the instruments are either Mellotron, chamberlin, optigan or Orchestron I feel a lot of affection for them. I have issues with messing with them too much which is a bit weird. I destroy drums on a daily basis but Mellotron....? Never! One big thing that is great with these instruments is that they command attention. They move tempo and pitch wise. Your ear cant really trust them. Its about creating a world where you as the listener is lured into the idea that everything is ok.
One way of creating such a world is by using reverbs to tie everything together. My main reverb is a big Akg spring reverb that has easily paid for it self. It is lush and silky. By using the same reverb on everything you create an artificial room where the sounds blend. On this album I will be experimenting with several reverb units to create specific rooms for all of the tracks. My favorite reverb was at my old studio in Sundbyberg. Next to my studio there was an empty garage...and I got to use it as a echo chamber. 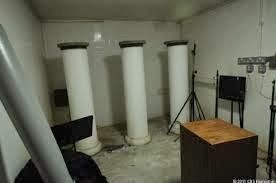 A echo chamber is quite simply an empty room whe you place a speaker and a microphone and you record the echo. It was really amazing. If you are curious to hear it check out the tarantula waltz album. Well anyway I have listened to the mix at home and it sounds....good which means that tomorrow Ill be starting the next mix. It actually feels great.